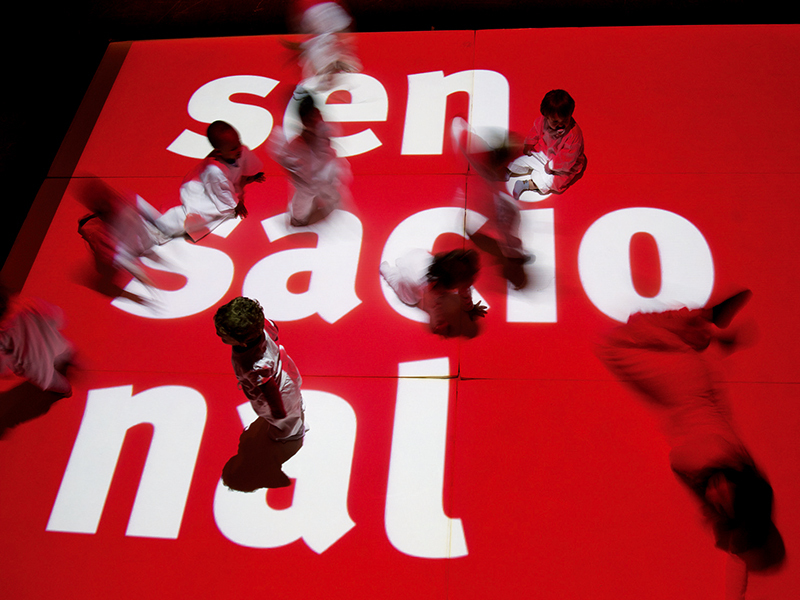 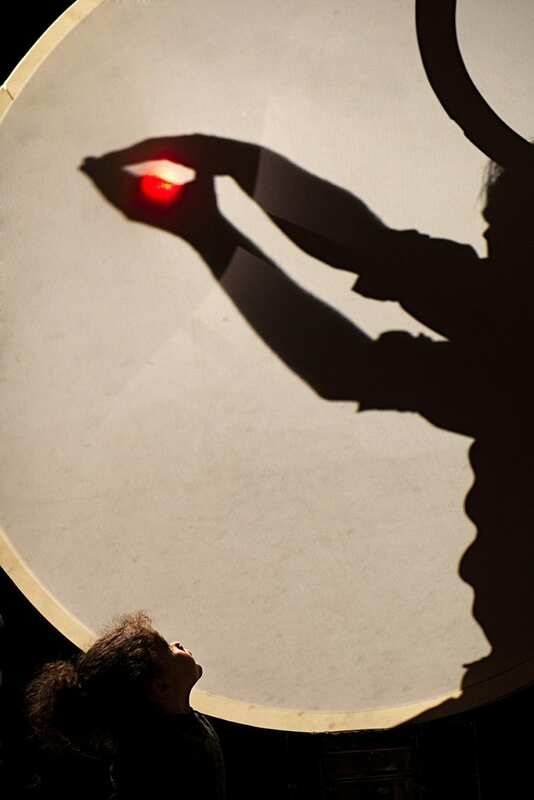 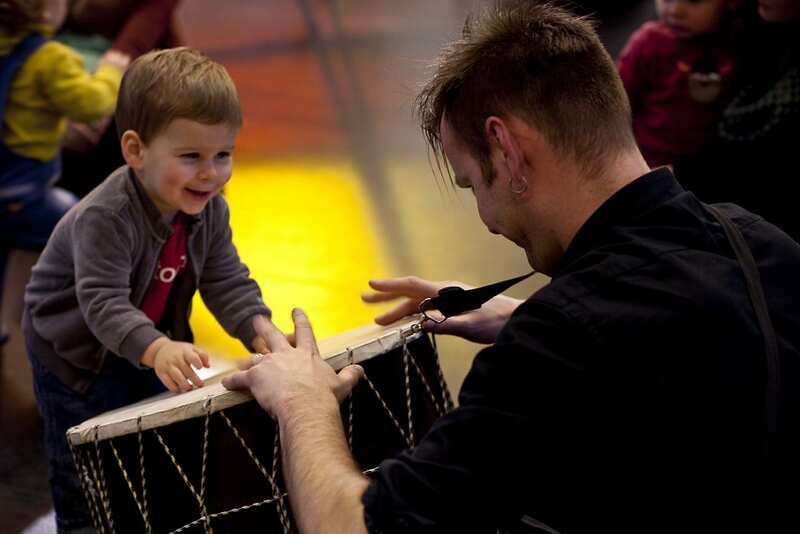 Rhythm and percussion: these are the two keywords to access the world of BEAT THE DRUM!, a spectacle produced by De Spiegel, a Flemish company committed for more than fifty years to creating events for audiences of all ages. 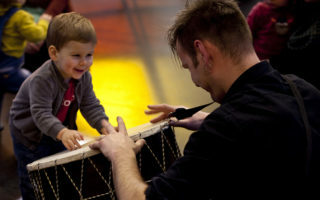 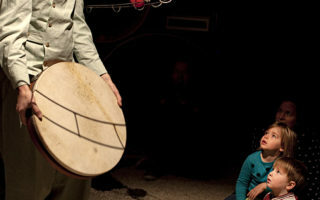 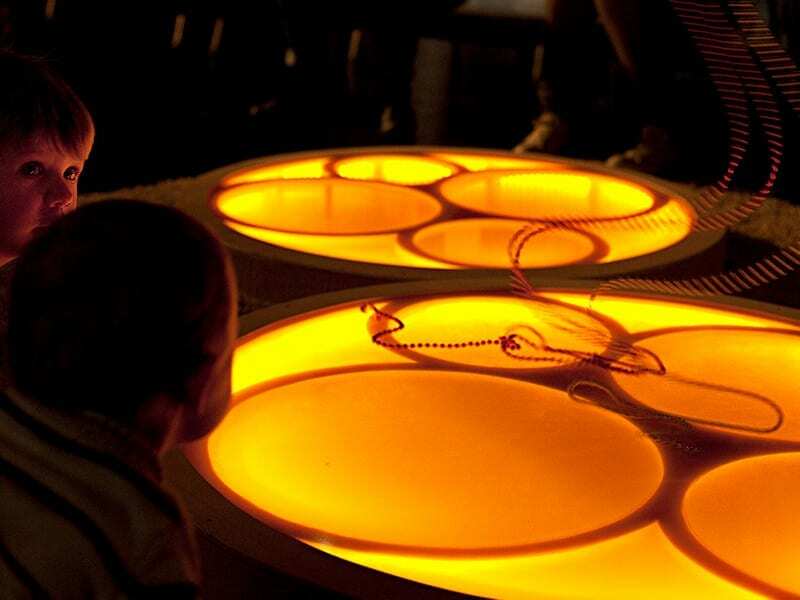 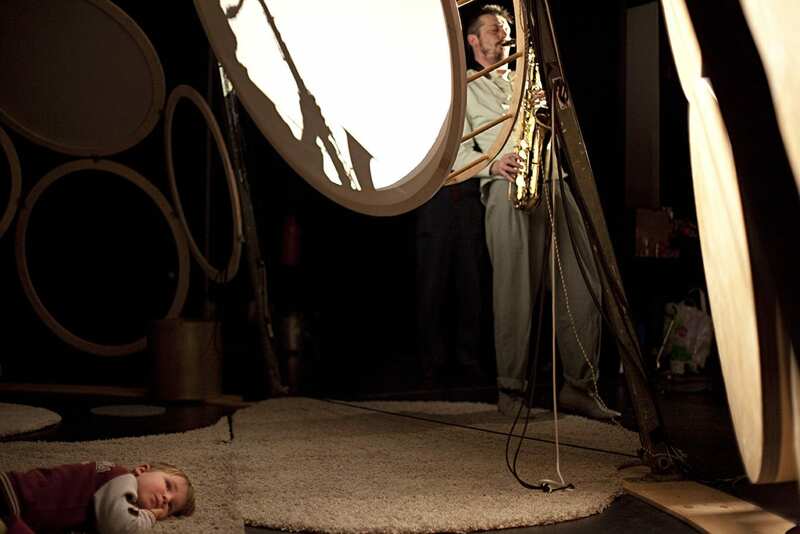 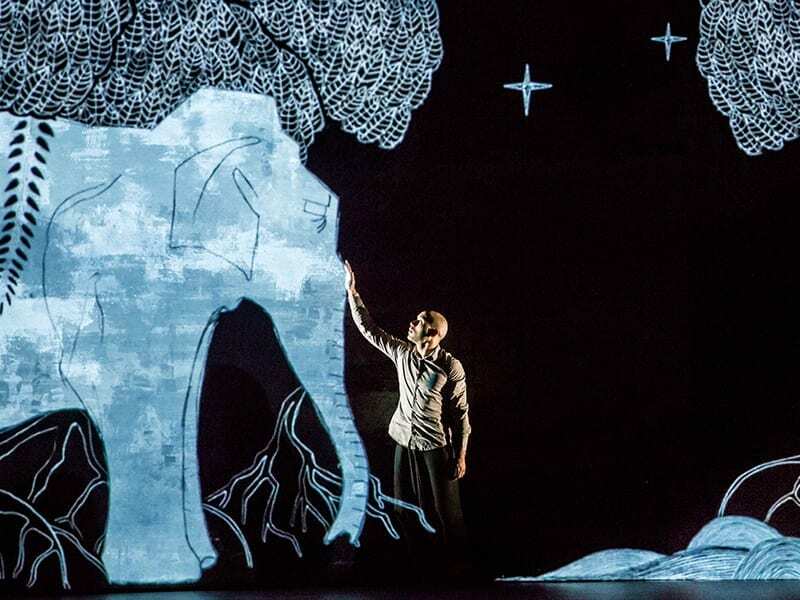 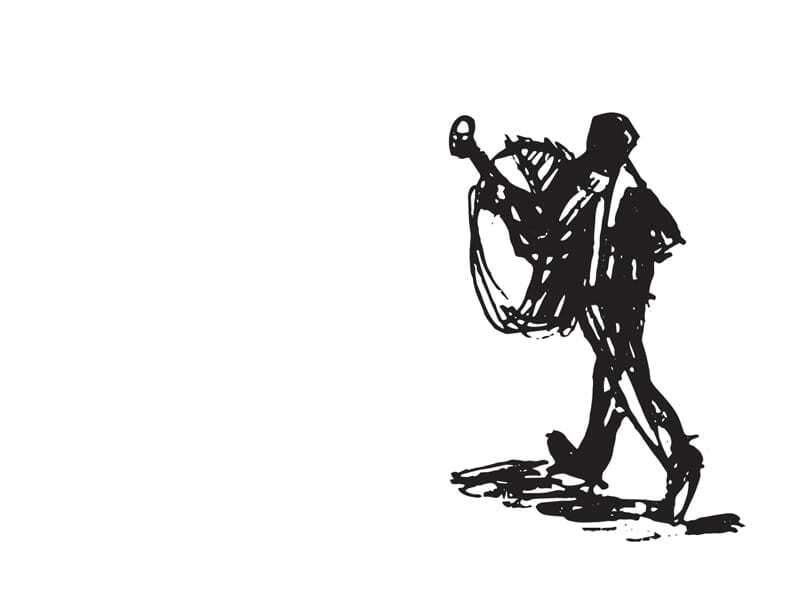 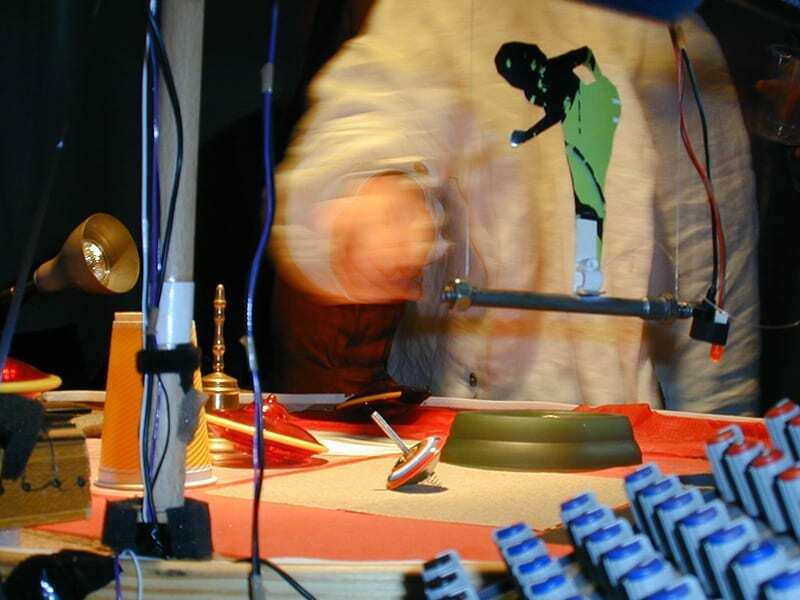 Children and parents are encouraged to enter a set/installation created with genuine drum membranes, to join a percussionist, a saxophone player and a puppeteer. 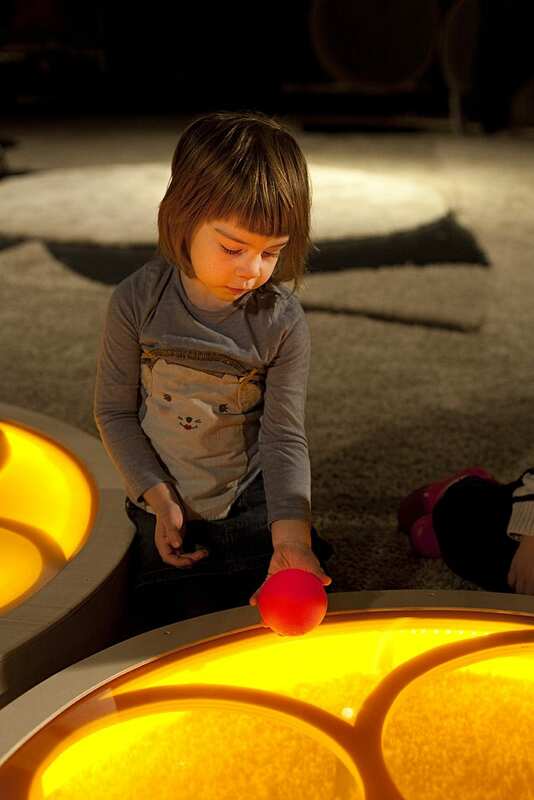 While marbles, balloons, bowls, skins, drums and water become tools to physically discover sound, music and rhythm, musical improvisation, theatre and Chinese shadows contribute to creating a surprising sensory and interactive experience. 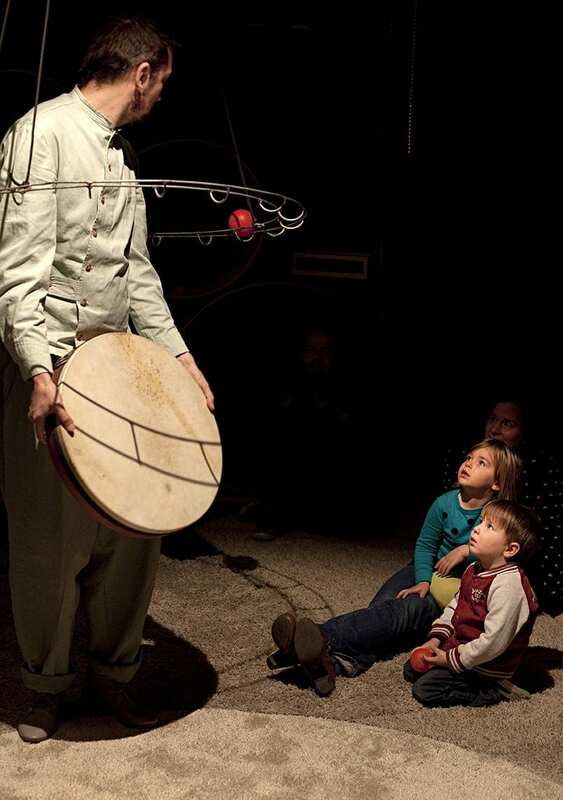 Here, every little spectator is free to define their own path and invent their own story, surrounding themselves in a real poem of sounds, lights and shadows within which to indulge in the magic of emotions.